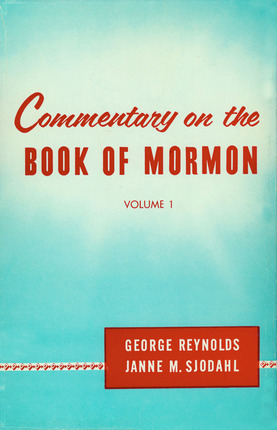 Every student of the Book of Mormon is sure to treasure the provocative and inspiring historical, biographical, philological, and archaeological research of Elder Reynolds and Elder Sjodahl, two eminently articulate and informed Church scholars and writers. In their commentary, they give glimpses and insight into a wonderful world. The world of Lehi and his travels to the Land of Promise. And the world of his descendants, the Nephites and Lamanites in ancient America. From many sources, the authors assembled facts and background for their Commentary that will engage the interest of both beginning student and veteran scholar. So persuasively and enthusiastically have they prepared their research so that every reader will see the myriad pearls of great price in the Book of Mormon anew.